The recent cold weather has been hard on plants that are placed near entrances to buildings or on windowsills where there are very cold drafts. In most instances the plants will need to be replaced. 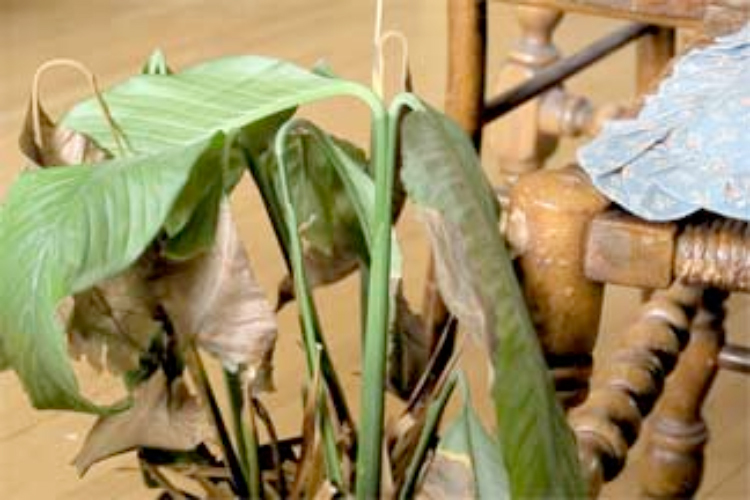 All damaged leaves need to be removed, which often leaves them very thin. The only other cure is some warmer, springtime weather!